Custom Vintage Football Décor for Man Cave, makes the perfect Football gifts or for any occasion. Personalized Football Senior Night Gifts. Custom Vintage Football Decor for Man Cave with your their Name, Jersey Number, Monogram or Text. Boys Football Bedroom with faux vintage football decorating ideas. Football Gifts Ideas for Football Players and Football Lovers. PERSONALIZE IT or Delete it. Vintage Football Décor For Man Cave will make the perfect Football gifts. One of our Best Selling Gift out of all of our Zazzle products. Choose from many Sizes and Fabric Types. With or without zippers. Makes a great gift and one of the coolest for Senior Night Football Gifts for Players and Football Team Gifts. You don’t have to worry about team colors. Custom Vintage Football Decor for Man Cave makes a very special Football gifts. CALL Linda or Rod at: 239-949-9090 to create unique faux vintage football decor design changes or help customizing. Boys Football Bedroom with faux vintage football decorating ideas. Football Gifts Ideas for Football Players and Football Lovers. PERSONALIZE IT or Delete it. 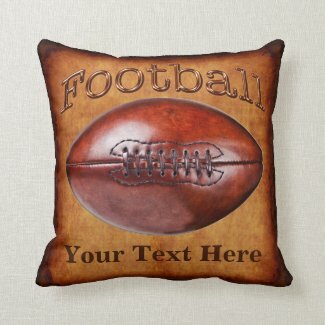 Really cool Custom Vintage Football Décor For Man Cave, makes the perfect Football gifts. Antique paper looking background that sets off the cool vintage football designs, these designs are some of the coolest and breathtaking with breath taking looking décor designs. 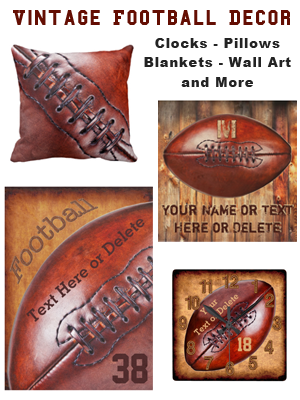 Football Gifts and Decor for Boys and Men. Vintage Football gifts for football vans or players. Custom Vintage Football Decor for Man Cave, makes the perfect Football gifts. Personalized Football Lovers gift ideas. He will love one of these football man cave gifts for sports lovers. Everyone from kids to adults will love receiving personalized gifts for Birthdays and more. Football Gifts for football players, makes the perfect gift idea for the end of football season Vintage Football gifts. See our own family room photo below for color ideas and how to decorate a man cave ideas. Our Man Cave Room Decor in our former home. It might be a bit outdated (but I still love my prior family room). We started decorating it around 1999. We always loved the warmth and cool slightly more rustic beauty. They will love one of these Custom Vintage Football Decor for Man Cave, makes the perfect Football gifts. Guys love old football looking decor and will love their very own rustic football man cave room. Some of the coolest football gifts for football lovers and for any occasion. I love the vintage looking football with the vintage looking antique paper background. It has such a warm feel. These faux vintage football man cave decorating ideas will warm up your masculine décor for him. All gifts are 100% money back guaranteed. Amazing detailed brilliant printing, what a great Football gift. How to Decorate a Vintage Football Man Cave? RUSTIC is the first word that comes to my mind. WARM is the next word. Typically, guys like the warm tone colors for their man cave. Browns, Tans, Rusty Colors. Rustic and Old are also popular choices for his basement man cave, maybe it’s in the garage or he has his very own room. My husband generally could care less about décor, BUT when it came to decorating one room in the house, just for him, he actually really cares. 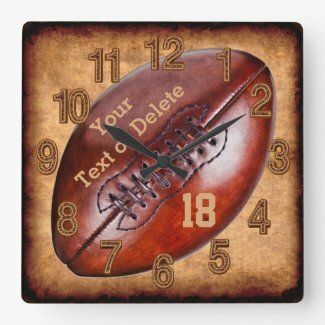 Custom Vintage Football Decor for his Man Cave, the perfect Football gifts. We bought a rusty sleeper sofa. I painted the room a warm soft taupe beige with a hint of orange to blend with the rust. No, he is not into football, so his room is based on a different theme for which he has a collection. If you don’t have real wood, bring in some rustic real wood pieces or wall art. Natural warm tones of wood lend itself nicely to football man decor or any cool man decor. We found some really nice used office furniture with a dark cheery and walnut finish. We were lucky to find a home with Brazilian Cheery Wood Floors. We have a man cave wall art to go with his theme and a rustic clock. I love the room as well. Some of the coolest Custom Vintage Football Decor for Man Cave, makes the perfect Football gifts. Linda’s first love is light and bright Victorian Greek Ornate decor. Her second love has always been Rustic Man Cave Decor. Wow, what a difference. From the first home on, decorate one room with warm rustic tones, sideways rough barn board like real wood paneling and a real barn beam for the fireplace mantel. We had to debug it first because it was infested with so many insects but it was worth the wait. If you love the look of Vintage Sports Decor, we have many other sports man cave decor ideas and gifts. Everyone of our sports designs can be placed on any of Zazzle’s hundreds of gifts. Custom Vintage Football Decor for Man Cave, makes the perfect football gift for football players or fans. In my opinion, you don’t have to stay with an all sports theme, you should stay in a certain color theme. If you decide to go with the rustic warm tones of the faux antique paper and rustic wood, I would not add bright white and red baseball decor, I would stay consistent with the warm tans, grays, brown tones. Typically, vintage look designs have a more muted look. Brighter colors are often toned down with gray and brown tints to the red, green and blues. Adding these muted colors to your sports themed man cave decor will add some pop without ruining the look and feel of the vintage football decor / vintage sports decorating ideas. Thank you for stopping by our Vintage Football Decor article. We hope you found some good football decorating ideas and gifts. Custom Vintage Football Decor for the Man Cave. 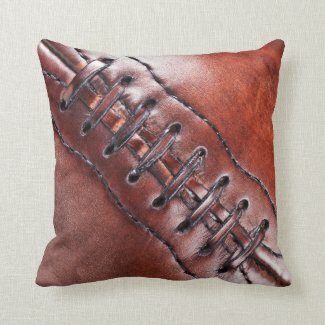 They will enjoy this vintage football decor, the perfect Vintage Football Gift ideas. Some of the coolest gifts for football players and football senior gifts. We can create templates for you to easily and quickly personalize each of the football gifts for each player or coach.